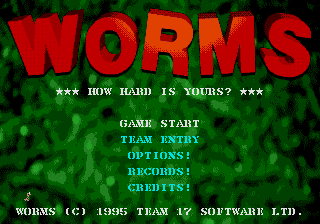 A great game by Team 17 that feature 4 worms on each team fighting for their lives. You get to either name your team or pick a preselected team. There are tons and tons of battlefields that are randomly generated. 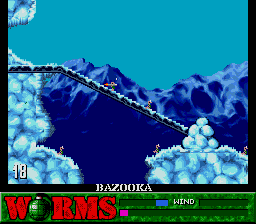 Each team is armed with weapons galore such as bazooka's and shotguns and baseball bats! 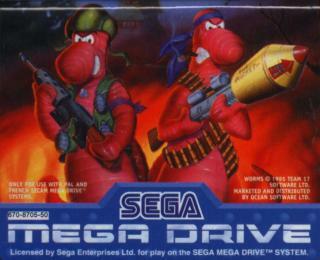 Lot's of fun multiplayer, only one controller required. Definately check it out! I give it a 9. I have this for I think the PC.. THIS CAME OUT SOR GENESIS! Im gonna buy this Its well worth what ever the price! 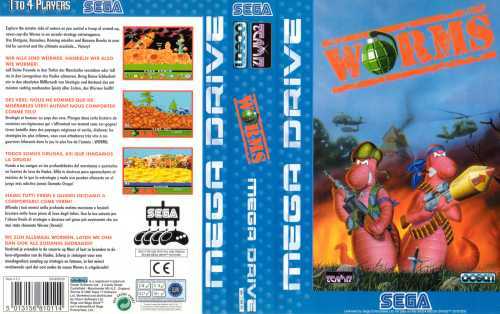 Worm against worm with cartoon antics on the battle feild! !